Remote camps, cabins and lodges are only as functional as the generators that power them. For meeting prime power needs or complementing a hybrid power system, our built-for-the-North diesel gensets have an exceptional track record. Midnight Sun’s lightweight camp packages are engineered with many unique features to withstand the toughest of cold climate conditions and remote logistics, and they are serviced right here in the North. From Munn Lake to Mongolia, Midnight Sun’s gensets are legendary for their engineering and performance. Traditionally, most successful northern mining and exploration companies have relied on our generators to power their camps and other remote operations over the past two decades. Whether you need a battery bank for energy storage or automotive batteries, specialty batteries or 2V industrial cells, we’ve got you covered. Midnight Sun represents top- performing battery brands for any application and we stock a wide selection. 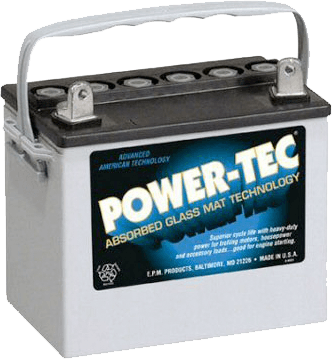 From high capacity deep cycle batteries to starting batteries for generators, vehicles or snowmobiles, we can provide you with technical guidance and lots of cold cranking amps for the power you need.